It’s that time of year again. Time to gather outside for long summer days and warm summer nights. 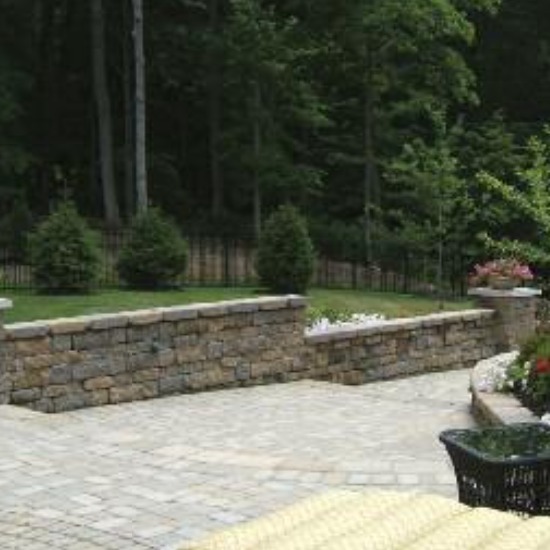 Segmental retaining walls (SRWs) made from dry-cast concrete masonry have long been a part of quality design and ease of maintenance in the backyard business. It’s easy to see how SRWs can create defined spaces bringing outdoor living to a new level, literally. According to a recent survey by Houzz, homeowners rated firepits (32 percent) and retaining walls (11 percent) as top outdoor purchases among renovating homeowners. 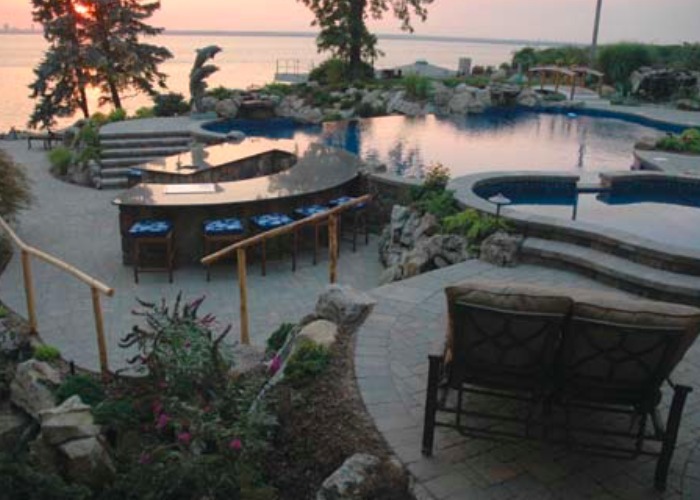 With the flexibility of SRWs, homeowners can shape an outdoor living space that fits their individual needs. Raising the curb appeal of a home is always high on a homeowner’s list. Raised garden beds or retaining walls created with SRW units can take a generic yard to enduring elegance while meeting practical concerns. 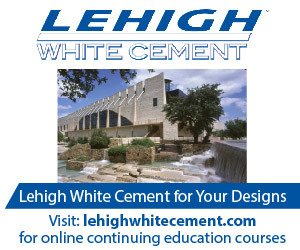 SRWs can address common issues like uneven surfaces, drainage and differing soil needs. 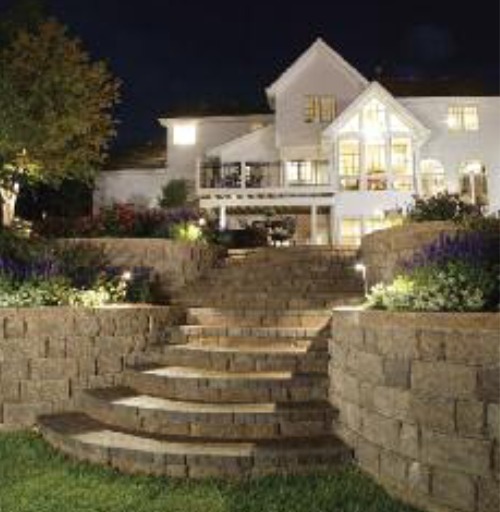 Homeowners struggling with sloping lawns and rugged terrain should consider implementing retaining walls to maximize livable space. Tiered walls provide flat surfaces within elevation changes. In a previous article, “Creating a Level Playing Field with SRWs,” we profiled a playing field and parking lot cut into a large slope at a private school. This same strategy can be used in a residential backyard, such as in the one mentioned in “A Wall Worthy of Attention,” albeit on a smaller scale. Even with a limited footprint, these walled areas can offer outdoor living spaces where there were none. In a recent survey, drainage was listed as a chief landscaping problem homeowners wanted to address, with 40 percent saying it was one of the biggest problems they had when doing outdoor projects. A tiered SRW wall with proper soil choices and a drainage pipe system can create an attractive feature that, when planned appropriately, can also facilitate the controlled water flow throughout the property. Designing with drainage in mind is especially important when creating larger, backfilled retaining walls. NCMA offers a free downloadable guide for residential applications of SRWs including best practices for drainage SRW Best Practices Guide. A popular addition to an outdoor renovation is a fire pit. Fire pits create focal points for seating areas while providing warmth and light. With the burning of specific woods, like cedar chips, or rosemary or sage leaves, they can also provide mosquito abatement and odor control, adding to the all around enjoyment of outdoor living. Since concrete masonry products don’t burn and can be made in many styles, SRWs are a great choice for building fire pits. Its durable exterior will stay beautiful for many years. 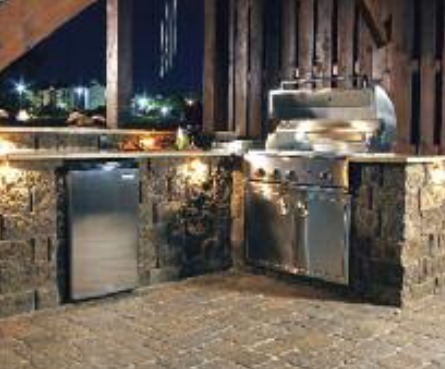 An extension of the fire pit is the outdoor oven which can be a costlier investment but has also grown in popularity as outdoor kitchens have become more commonplace. ThinkGink lists both fire pits and outdoor ovens among the top five upgrades that add value to your home. In one survey, 51 percent of homeowners said that outdoor living spaces were the most attractive feature of a home. 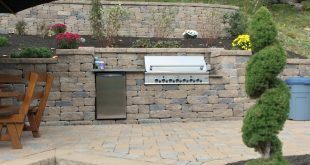 The use of SRWs and manufactured stone veneer can be extended into the outdoor kitchen design creating seamless transitions in appearance. Segmental Retaining Walls offer many opportunities to improve the longevity and usability of outdoor spaces. By creating designated outdoor rooms for seating, cooking, and dining, homeowners can bring the inside outside and expand their living space significantly. SRWs can increase curb appeal and home value along with increasing the enjoyment of summertime living.